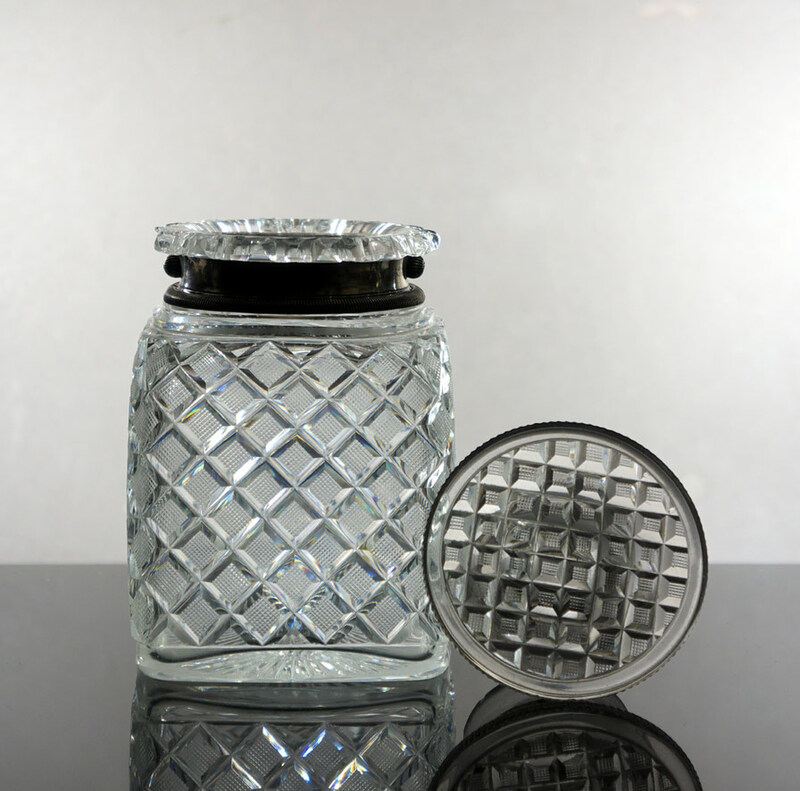 The art of glass blowing is seen today as the arena of the artist, yet in the past these labour-intensive glass creations were the daily productions of the multitude of skilled tradesmen, supplying the needs of the growing affluent classes. It’s a sobering thought to consider just how many skilled man hours were used to create some of these pieces – and, as is the case with so many antique objects – if we judge these old pieces by today’s standards, these articles could never be produced. We just couldn’t afford to pay the price! Bohemian silver mounted humidor with all-over strawberry cutting, silver collar hallmarked Buchholz & Zelt, New York. 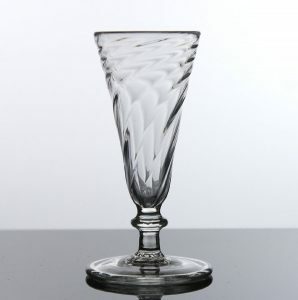 Circa 1900 Height 5", coll #GL68 another view: Buchholz and Zelt was a firm in New York City that designed imported Bohemian cut glass and silver for sale in the US market. The designs were sent to Bohemia to be made into glass or silver. Many of the designs are in the Bohemian nineteenth century style and were inspired by objects in European museums. 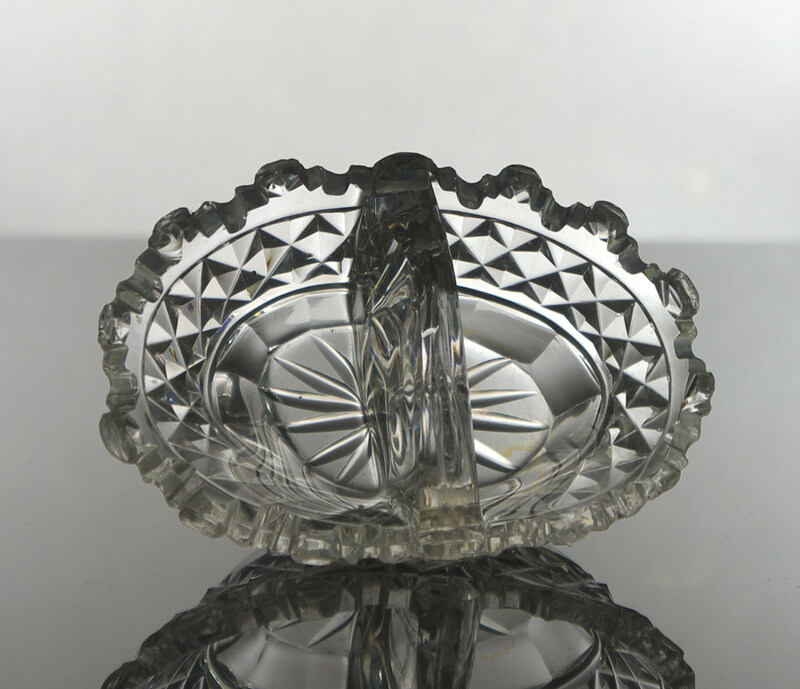 A minority of the Buchholz and Zelt pieces are stamped with the name of the glass company involved, such as Mühlhaus, Oertel, and Harrach.